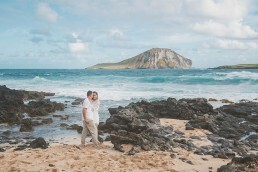 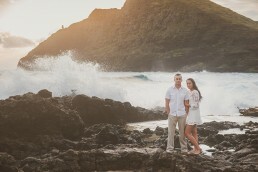 🌄 Magic happened on this Hawaiian morning during our engagement photography session with Gio & Laurie. 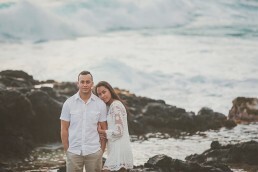 They needed some save the date pics for their upcoming wedding. 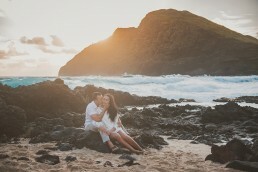 They contacted us, and we arranged to meet for a sunrise session at Makapu’u. 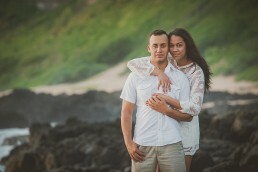 The wind was a bit much, but the morning light, ocean spray, and dramatic clouds all added to the magical session. 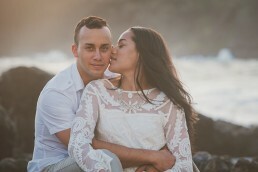 Laurie wanted romantic, playful images and I think we delivered! 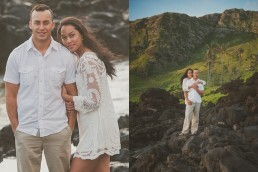 Check out their pics below!